I received such a fantastic response from it, overwhelming infact, It seems alot of people were inspired by my weight loss and please excuse the cheese but i feel humbled that people consider me an inspiration or an anchor as they progress or begin their fitness journey. 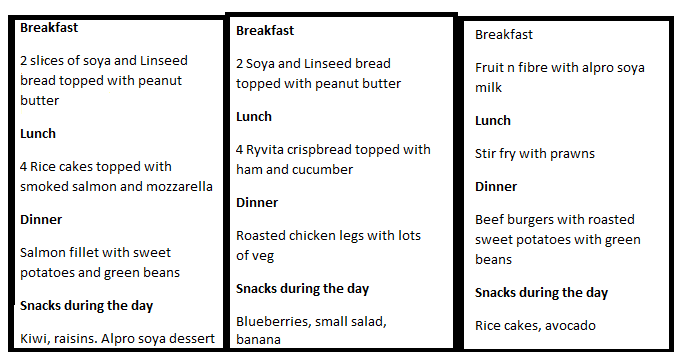 This blog will focus mostly on my diet whilst i did insanity, a mr/miss anonymous commented that they would like me to post more about 'what i ate, what exactly i meant by simple/complex carbohydrates and just general tips' so ive decided to do some short tips focused on food. Disclaimer: The things i will outline below are things that worked for me, i can't guarantee you the same results but they are general tips that i believe should help. Check your portion sizes! I liked to eat a healthy sized portion of food before i started working out but no way did i think that 'healthy' portion was infact way too much food until i started to weigh my food then i realised my body could actually cope on much less but instead had been pushed to that limit. 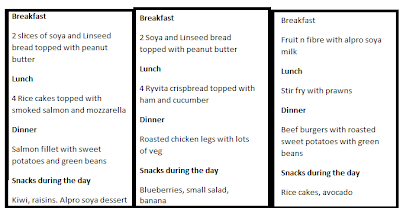 To regulate my portions i started to weigh my food, this was a bit tedious at times and really isn't for everyone so if you can't do this then perhaps start with changing what you eat from i.e. 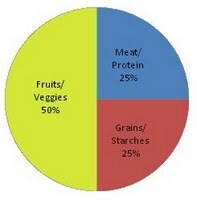 instead of having your dinner off a large round plate, try a shallow-ish bowl or literally half what you would normally eat. Trust tesco on this, every little helps! Watch your calorie intake! To lose weight its simple, you want to make sure your lose more calories each day i.e. through exercise/activity than you take in through eating so there is a minus in calories. This is supposed to be the best for weight loss that stays off! This is where something like myfitnesspal helps. 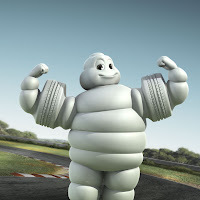 Michelin man- cute to look at but not to look like! Ditch the white for the brown! Food such as wholemeal bread, brown rice, wholemeal pasta and cereal are known as complex carbohydrates with natural starches and are better for you than the white alternative or simple carbohydrates such as fizzy drinks, cakes etc because they break down more slowly in your body providing you energy over a longer period. It's the general consensus that they are healthier and better for you! Eat good! By this i mean eat decently within the food groups, increase your portions of fruit and veg, careful of the type of fats you eat- stay away from saturated fat, eat more fish and chicken and just generally mantain a healthy balanced diet! In conclusion i can honestly say i have now changed my mindset and attitude to food and that was by me learning about what i put in my mouth. Knowledge is power in all circumstances so do feel free to jump on the world wide web and do further research on all the points above. Watch out for my next post on ladies who i PERV look to when i need some motivation to workout.